One of the many attractions in a trip in Sierra Leone is the Tiwai Island Wildlife Sanctuary. 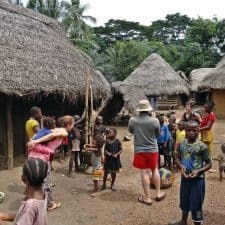 Tiwai Island (which means big island in Mende) is located inside the Rainy Forest of the High Guinea (Tropical Upper Guinea Rainforest), in the south-east of Sierra Leone, to approximately 30 km from the border with Liberia. Tiwai Island is encircled in the Moa River, and is about 12 km ². Its great natural beauty boasts exotic biodiversity, endemic species and abundant tropical jungle vegetation. 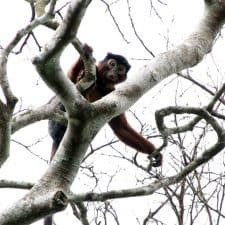 Tiwai Island possesses one of the greatest primates densities in the world with a good number of species as the diana monkey, network colobus, black and white colobus, olive colobus, the Campbell's monkey (interesting studies have been undertaken) and chimpanzees. Tiwai is also a paradise for bird lovers with more than 135 species. Walking along its 50 kilometers of paths we will be able to see more than 700 plant variety. Tiwai and the waters of the Moa River are home to the rare pigmy hippopotamus, a solitary and nocturnal animal, which can only be found in Sierra Leone, Liberia, Ivory Coast and Guinea. This pygmy hippopotamus is very difficult to see, it would be necessary to make stays of several days to have more sighting opportunities. There is a camping area at an open space in the jungle with shower and shared wc facilities. In Tiwai an ecotourism shared project is being developed, between different local chiefs and several local and international organizations. 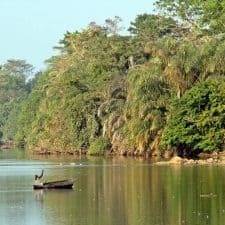 It is possible to realize great treks guided by the Park in search of wild life or enjoy agreeable tours in canoe around the island surrounded by the beautiful tropical scenery. Just as fascinating as the visit to Tiwai Island is the visit to Kambama. Kambama is a small rural village where the narrow road comming from Poturu ends. In Kambama there is the boarding for Tiwai Island. Kambama is a very picturesque and traditional town with very friendly and hospitable inhabitants always willing to show us their way of life and their customs and to guide us around to some beautiful spots. 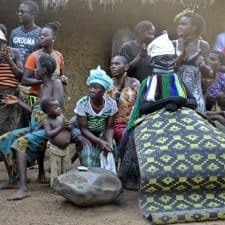 We love this village and that’s why we spend one night here, letting the traveler to see the lifestyle of rural Africa while collaborating in the development of its economy. Arriving to Tiwai Island from Freetown is much easier than long ago due to the construction of the new road. 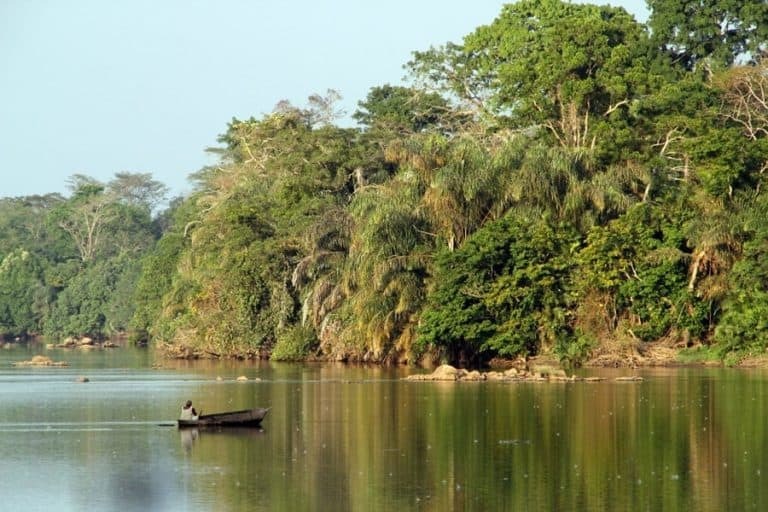 However arriving from Liberia via Kenema through the Gola National Park it offers one of the most spectacular road trips, hard and difficult in West Africa. 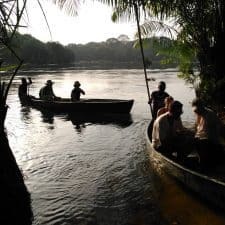 A stretch of more than 200 unforgettable kilometers, which can take several days to travel and where we will camp in remote villages or spectacular places. 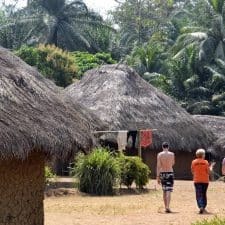 On our next trip through Sierra Leone we can enjoy Tiwai Island for two nights, one inside the sanctuary and another in the village of Kambama.